Let's get real here. It takes serious gusto to run a Lion pride. Not only do you have to be the fearless leader of a group of wild cats out on the great African savannah, you also have to have one heckuva mane. If you don't get your hair just right, one of your competitors is sure to swoop in and take over your pride. The results would not be pretty. Trust us. If your little guy or gal has their sights set on becoming a king of lionkind, then there's really only one way to make sure that their endeavor is going to be successful--by ensuring that they're the mane deal. 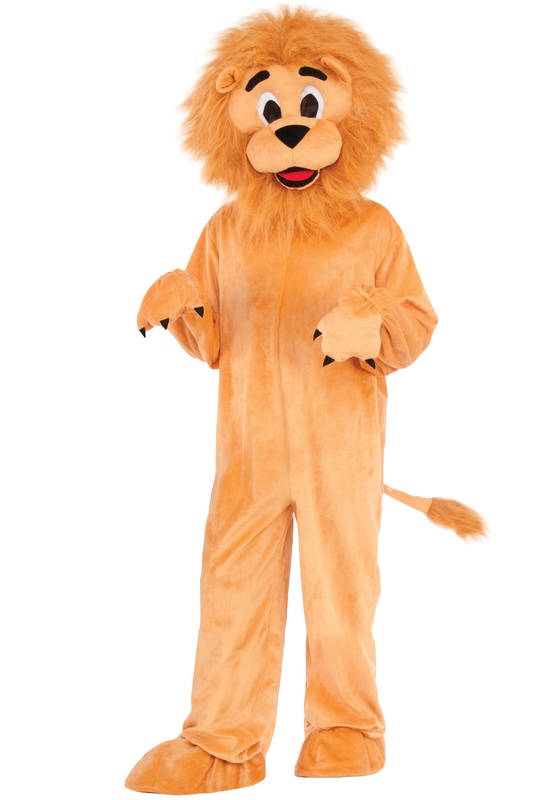 Puns aside, there's just no saying what kind of fur a human cub could grow if they tried really, really hard: so take an easy step to make sure they become the in-charge cat with this child lion mascot costume! This jumpsuit costume has soft velour and faux fur, and with an over-sized headpiece it has that classic mascot styling that makes any animal costume just really great. Plus your child will feel equally at home at the sidelines of the sports game, or out their in the wild patrolling the pride. Get them this signature costume, and we're sure they'll be ready to ROAR!